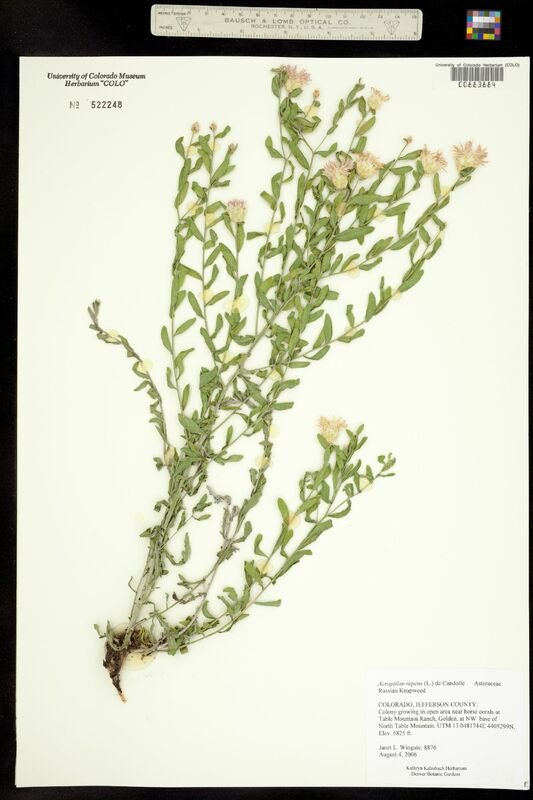 Taxon: Acroptilon repens (L.) Dc. Locality: USA, Colorado, Jefferson, Table Mountain Ranch, Golden, at NW base of Table Mountain. Habitat: Colony growing in open area near horse corals.